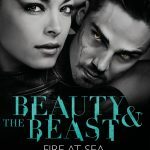 Beauty and the Beast: Fire at Sea out NOW! Please remember to support your local independent bookstore if possible. Fire at Sea is available for purchase online here. This entry was posted on Monday, June 6th, 2016 at 3:17 pm. You can follow any responses to this entry through the RSS 2.0 feed. Both comments and pings are currently closed.